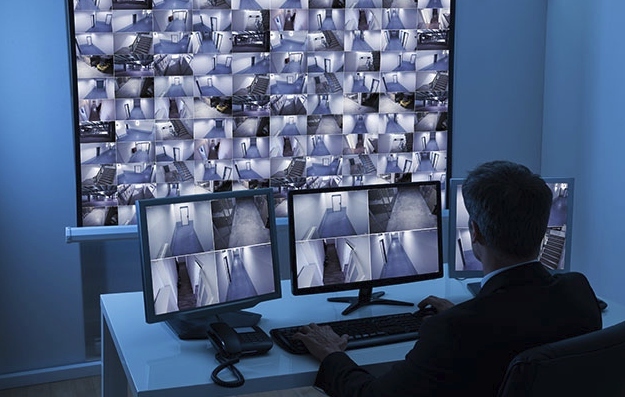 The security video market is changing rapidly. Customers are expecting, and demanding, more from their system integrators. They’re more savvy of equipment, and more informed about their needs. As some system integrators race to the bottom of the market playing the price game, industry leaders are rising to the top with a new strategy–one focused on “customer service”. These companies realize that–in order to win the big contracts and build a reputation for reliability, quality and trust–they must put their customers’ best interests at the top of the list. Customer service is king. With that in mind, SecurityTronix has one mission–to help our customers deliver excellent customer service so they can land the big contracts, strengthen their reputation as trusted leaders, and grow their businesses. Our focus is on customer projects–not camera parts, on solutions that meet customer goals–not on low cost systems that help move inventory. If you’re just looking for parts–you’ve come to the wrong place. We’re looking for companies who understand that succeeding in this business requires planning and forethought, insight and product knowledge to design solutions that meet customer needs both now and into the future. Delivering high quality customer service is complex and requires lots of knowledge with no room for error. To quickly, and cost-effectively, acquire this knowledge and achieve high-performing delivery on projects — leading integrators are partnering with SecurityTronix. We want to be your one-stop shop for sales support, technical expertise, ordering efficiency and all around business growth enablement. Contact us today to learn why leading companies are making the switch to a customer-first approach, the SecurityTronix way. Target more profitable, more high profile opportunities that help you grow your business. These opportunities also provide greater impact to your reputation and better marketing opportunity/value from name recognition of larger clients. Through our experience, our expertise and our sales enablement tools like the System Advisor, we help you improve your contract win rate for both large and small contracts. Prospects see you as an experienced leader who can be trusted to deliver as advertised. Our System Advisor approach, combined with our team’s expertise helping you create informed quotes, results in proposing solutions that have very high alignment to your customers’ needs. Show your customers a solution that meets all of their needs. We help you sell with confidence by leveraging our System Advisor tool which provides detailed sales guidance, product knowledge, video overviews, and referencing our own experience, vast produce knowledge, consulting, training sessions, and multi-lingual technical and sales support. Our technical and sales support lets you sell and describe solutions and applications confidently, knowing that you’re suggesting the best equipment for the project and you’re describing how and why to your customer. Whether you’re seeking to build your new reputation in the industry, or even repair or strengthen your existing reputation, partnering with SecurityTronix will allow you to add consistency in delivering high-quality, high-expertise solutions for your customers. Our System Advisor tool, combined with our sales and technical expertise, will help your sales team identify new opportunities for upselling that extend coverage and security footprints for your customers, and provide additional revenue for your firm. Our System Advisor platform gives you the power, training and tools to approach your existing install base with new ideas and new equipment solutions that help guide your customers into the future with solutions that address their needs for years to come. By focusing on problem solving and solution providing, rather than equipment sales, you transform into a trusted advisor role where you’re guiding your customer to a solution that meets their needs over the long term, which translates into high customer satisfaction. By leveraging our platform, team and services, you can go to market with an extended expert team, before you actually need to hire full time. We cost effectively let you approach the market with more skills, more experience, and more manpower so you can engage larger contracts and compete successfully to win bids that help you grow your business. With our end-to-end handholding and order support, you can say goodbye to the endless trips across town to the distributor for replacement parts, to fix errors in the order, or to purchase last-minute omissions. We work closely with you to get the project specification, and the resulting equipment order, right the first time around. Ultimately, this saves you time, money–in labor, gas, etc.–and establishes your reputation as a competent solution provider out of the gate. Learn how SecurityTronix can help your business!